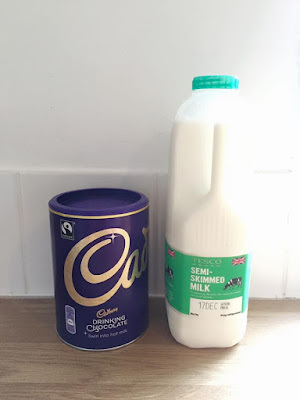 I am such a huge lover of salted caramel and hot chocolate so I thought I would mix them together and come up with my own very simple recipe. During the winter time I am such a huge lover of hot chocolate and I think this little twist on your normal hot chocolate is so tasty! This would be the perfect thing to have on christmas eve with your loved ones watching a christmas movie! Firstly I chose a super cute mug, I then poured some milk into my mug and popped it into the microwave for 2 minutes (be careful the milk and mug will be hot). I then added three heaped teaspoons of hot chocolate into the mug and stirred well. You then need to add one teaspoon of the Salted Caramel Sauce into a bowl and microwave it for 15 seconds to melt the sauce. Finally use spray the cream on top on the hot chocolate, Drizzle the salted caramel sauce on top on the cream and then add some mini marshmallows then Voi La! 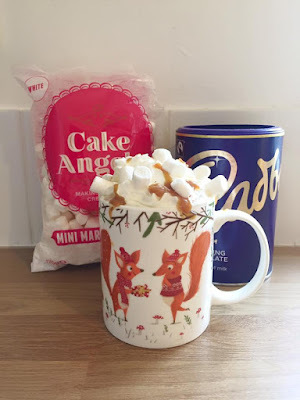 you have a yummy salted caramel hot chocolate. 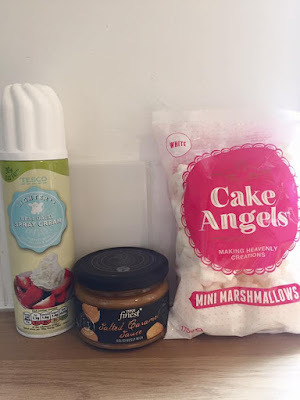 I'm not a massive fan of Salted Caramel but my boyfriend loves it! Maybe I will surprise him with this one day!